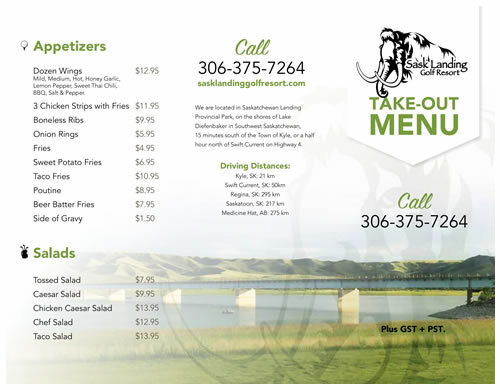 Sask Landing Golf Resort’s clubhouse offers golfer’s & vacationer’s a wide variety of menu items prepared by our experienced chefs. 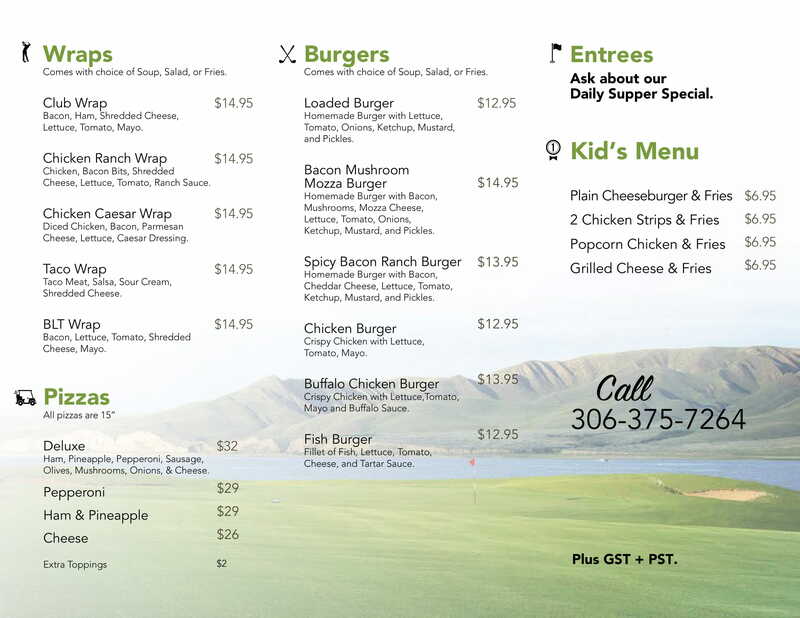 Experience dinner in our spacious restaurant or from our patio, while enjoying the panoramic views of Lake Diefenbaker and the 18th green. 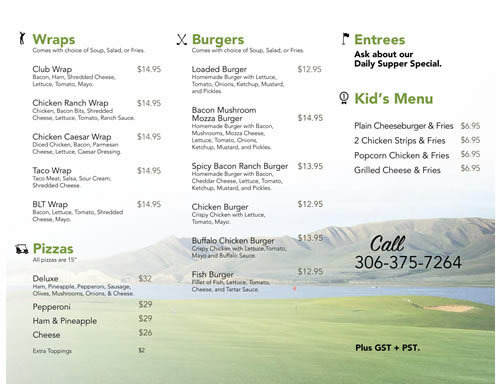 A favourite destination for tour groups, parties and corporate tournaments, we can do it all. 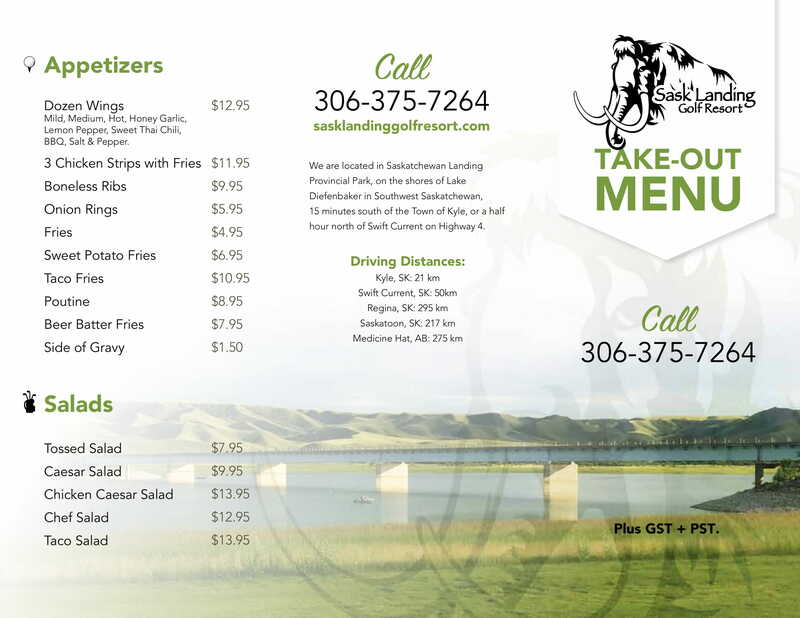 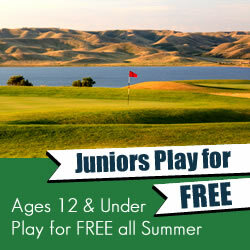 Bring us your ideas, or let us help you plan your next event at Sask Landing Golf Resort.